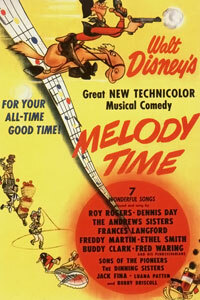 As we near the end of Disney's package films, we come to Melody Time, a collection of shorts set to popular music in the same vein as Make Mine Music. In my opinion, this collection is better than Make Mine Music; the shorts tell better stories, and frankly aren't as boring. We meet famous folk characters such as Johnny Appleseed and Pecos Bill. Touching tales of bravery and love are found in "Little Toot" and "Once Upon a Wintertime." And creative avant-garde imagination is found in "Trees" and "Bumble Boogie." The 40's were a dark decade for Disney, but I look forward to this next renaissance, when the studio is back on its feet and created the classics that every child knows today. While these package films may not have stood the test of time, the work they did prepared a new generation of artists made way for the studio we all know and love today. If any of you have watched along, what do you think of the films Disney did during this period during and after the war? Do they work for you? Or do you, like me, find yourself wanting something more substantial and moving? Let me know what you think in the comments below. 1. 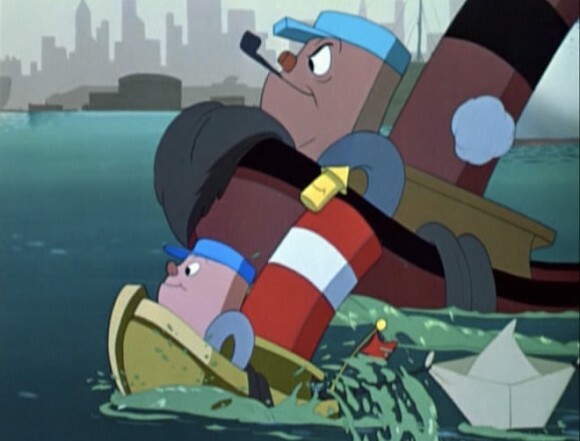 Stuart Nicholson, "Make Mine Music and the End of the Swing Era," The Cartoon Music Book (2002): 33.